There is something that you must keep in mind though. There are so many variables that go into metal roofing prices that it really is impossible to quote prices “sight unseen”. 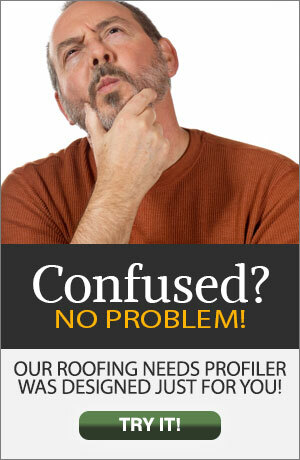 In fact, it’s not even easy to give ballpark prices for metal roofing. Variables like roof condition, geometry (shape), and pitch are huge factors. The availability of roof access is a factor. The location of the home can be a factor. Which contractor you choose is a factor. As a general rule, more established contractors (and those most likely to be around in the future) will have higher prices because they have higher costs for marketing, insurance, employees, and facilities. The more professional contractors, too, will take a “whole house” look at your home and, when appropriate, suggest additional things you need like ventilation, insulation, or water management. And, finally, a huge factor in metal roofing prices is which style of metal roof you choose. How do you sort through all of that? It’s not easy. We will be the first to admit that. That’s why Todd Miller, our company president and resident metal roofing expert, has even offered a service to help you sort through any metal roofing price quotations you have received. Choosing the right contractor trumps choosing the right product. Even the best product, improperly installed, will not perform better than the worst product expertly installed. You very much want a contractor who is experienced and trained, takes their craft very seriously, cares about your home as much as you do, and really understands the weather conditions in your area and any special accommodations for those conditions. Our metal roofing price estimates are based upon experienced and trained professional contractors who carry proper licensing, insurance, and workers compensation. These are the contractors, frankly, who are most likely to still be there in the future to meet the needs of you and your friends. (And, believe us, these are the professionals you will want to refer your friends to!) You can always find people who will do jobs for less but you must consider what you may be giving up in return for a lower price. At the low end of metal roofing prices will be products with exposed fasteners. These products often have lower grade paint finishes and may be made of lower grade base steels. These products have very few flashings, relying more on sealants and simply overhanging the panels at their lower end. Expect to pay from $4.50 – $7.00 per square foot of roof space for these products, installed. Next, from a metal roof price perspective, you will move into steel standing seam and steel shingles. Again, there are wide differences in quality available. You will find some of these products with sub-standard metals and coatings. You will want something that is at least G90 galvanized steel or AZ 50 galvalume steel, with a Kynar 500® and Hylar 5000® PVDF resin-based finish in order to expect a good life from the product. Expect to pay from $8.50 – $12.00 for these products. In some cases, the accessories for these roofs will be factory-formed and others will be site-formed. The next level will be higher-end steel shingles, as well as aluminum shingles. Aluminum standing seam will also be on the higher end of this range. These products are known for their many benefits and have very long, proven histories. Most all of the accessories and trims will be factory-formed for quality and consistency. They also add a great deal of beauty and curb appeal to any home. These become a durable, lasting home addition. The formed nature of these products provides additional energy efficiency through a built-in airspace or “thermal break” to minimize conductive heat transfer into your attic during the summer. These products also have fade and chalk-resistant PVDF coatings, usually with reflective pigment for even enhanced energy efficiency. The installed metal roof price for these will vary typically from $10.00 – $16.00. The next highest genre of metal roofs are called “exotic” metals. These products consist primarily of mill finish zinc or copper products. They are available as standing seam or shingles. Like the higher end metal shingles discussed before, these products become a permanent home asset. They add value and beauty and will be best installed by true craftspeople. Expected costs will be from $18.00 – 25.00. So, as you have read through this information, you may be wondering who buys metal roofs? 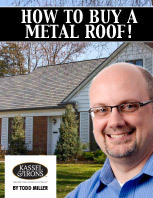 In our experience, there are two main criteria that fit most metal roofing customers. First, they care very much about the beauty of their home. They see their homes as a reflection of themselves and they see more beautiful homes as being more inviting, comfortable, and valuable. They like those things. Second, the typical metal roof customer intends to stay in their home through at least one re-roofing cycle. In most areas, that is about 12 – 17 years. They may even intend to leave their home to their children or other family members. They very much take a “life cycle cost” view of things as a result. With roofing prices for any material doubling about every ten years, metal roofing and especially long-lasting metal roofing, makes perfect financial sense to these homeowners. When you add in energy savings, the financial justification becomes even stronger. Again, keep in mind that there are so many factors to metal roofing prices. You’re bound to find a range of prices once you begin to get bids. We are here to help you sort through it all if you wish. Please contact us anytime.